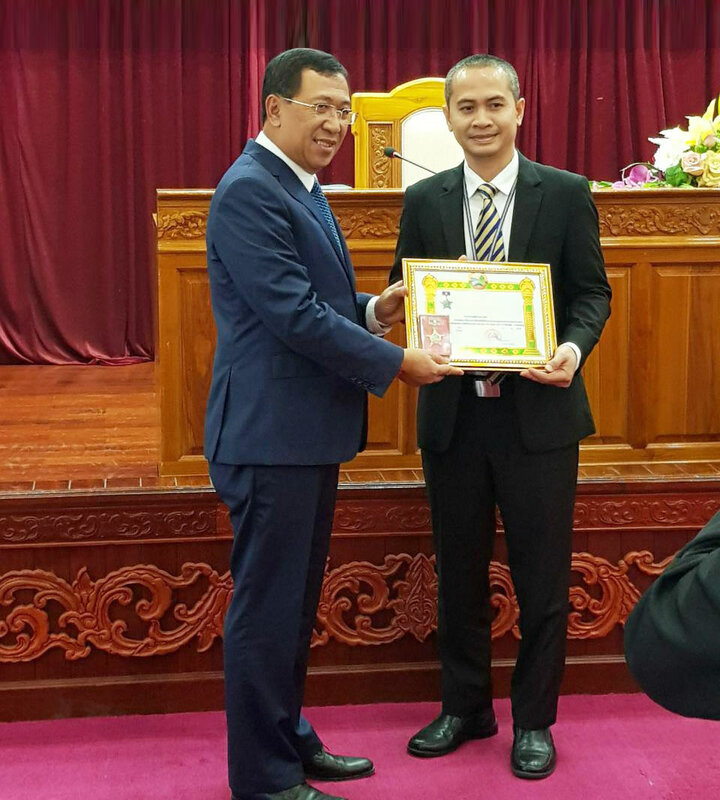 On March 28, 2019, ACLEDA Bank Lao Ltd. 'ABL', with vision to be the leading SME bank in the Lao PDR, has a great honor to get the Certificate of Appreciation from the Premier. The event was held at the Bank of the Lao PDR under the presidency of the Governor, H.E. Sonexay Sitphaxay, presenting the certificate of appreciation of the Prime Minister to the Managing Director & CEO of ABL, Dr. Hay SVAY, in recognition of the contribution of the Bank to the country development. Regionally, ACLEDA Group has ACLEDA Bank Plc., as parent company, and five subsidiaries operating in Cambodia, Lao PDR and Myanmar and serving remittance services worldwide. The Group has total assets about USD 6 Billion and operates in 310 branches-offices, 578 ATMs and serving over 2.6 million customers using the commercial bank's products and services. Thanks to the advance technology, FinTech Mobile App., well known as "ACLEDA ThanChai", enabling ACLEDA Bank Lao to serve more active customers in all segments of the community to undertake the transactions and remittance any day, anytime, anywhere.